Sun Tzu (or Sūn Zǐ in pinyin) was a 500 BC Chinese general, military strategist, and author of The Art of War, an immensely influential ancient Chinese book on military strategy. Many great leaders like Margaret Thatcher and Ronald Reagan studied his work and became legendary leaders. Many corporate leaders paid thousands of dollars to attend courses to learn Sun Tzu secrets. We believe that you too can learn master Sun Tzu secrets and apply them to your work easily. This is because we take the essence and compile them into an 8-hour course that will leave you with just enough materials to serve your customers and lead your business to greater heights. Since October 2010, we have trained over 1,137 leaders coming from countries including Hong Kong, Philippines, Cambodia, Japan, Sri Lanka and even China. The most valuable lesson out of Sun Tzu Art of War comprising 13 chapters of 5,000 words must be found in the 3rd chapter: Win Without Fighting. How does it apply to your CUSTOMER SERVICE in your company? 3. Never destroy the bodies, minds, hearts and spirits of your customers. You also cannot break their hearts by not delivering on your promises and make them give up on you. Finally, you may destroy their spirits when you unknowingly make them a fool in front of others, especially in difficult situations. 5. A service provider is at his best when his customers hardly know he serves them. This is because the service provider has served without serving, he puts service as his life’s highest purpose and every little action of his is about putting customers first, yet he never feels the strains of serving customers. 6. If you too want to be a great service provider, learn the strategies and tactics of the Art of War from one of the masters in this field. · Happier and more Fulfilling Life! 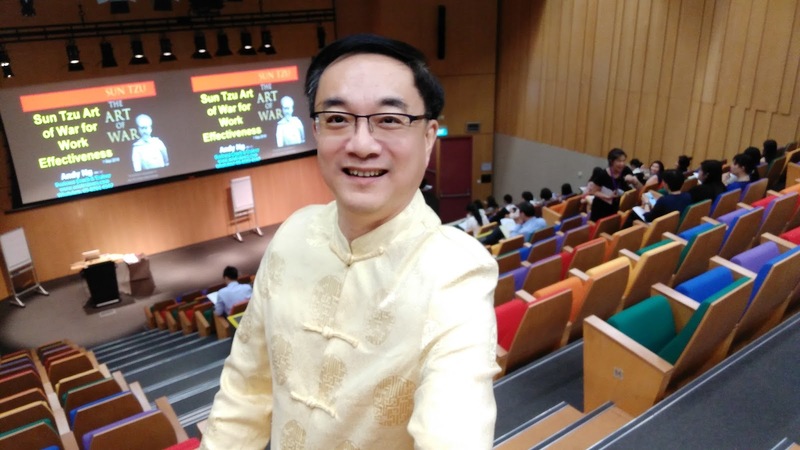 · Andy Ng has given us good ideas on customer service using very practical ideas passed from 2,500 years - Sun Zi Art of War and 36 Stratagems. I enjoyed every minute of his course.